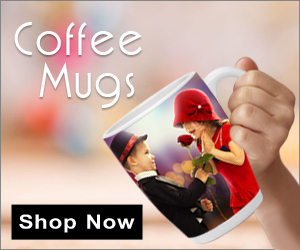 DesignAndOwn Dubai number one company for sublimation printing on different type of gift items and promotional items, like keychains, key tags.logo printing on keychains or name printing on keychains or mostly used idea now a days for promotion companies brand name. If you need perfect and premium result for product just order us online we will design your item and give you preview..
Keychain / Key tags for Gifting. Using your favorite image, whether of your pet, your child or even a beautiful landscape, Designandown will create a custom keychain that is beautiful and durable. Let everyone know that these are your keys with your own photo keychain. These are great to use with your own keys, or you can give them as gifts. Custom photo keychains are available in either aluminum or a thick, durable plastic material. Both will withstand the abuse that keychains must endure and remain beautiful and colorful for years. The double-sided keychain is the ideal way to showcase a favorite memory. Ordering with design and Own is easy. Make plans today to order your custom photo keychains, and give your key ring a personal look! DesignAndOwn Provide Custom printing of keychains for big companies in UAE …you can print your company logo or name for advertising your brand name. Best prices and unique product. Personalized Keychain Or key tags are one of the best idea for gifting and promoting your business, but we have lots of other ideas like magic mug, crystal clock photo frames, tshirts and most common gift item personalized phone covers.For any Services related to personalized gift or promotional items you can contact us .